Will you help by answering a survey? WEGO Health is a social network of bloggers and tweeters who are actively involved in health online. It’s a platform for committed health advocates to foster new relationships, gain access to helpful resources, and to grow their communities. WEGO Health asked me to share a survey with the Crohn’s Disease and Ulcerative Colitis communities to make sure that they get as many patients and caregivers involved as possible. The survey will take about 10 minutes. Will you please help? As a thank you for each survey, WEGO Health will make a $1 donation to a charity of my choice. It always feels good to get recognized for something, but it is extra special when an award comes from a peer. These folks know the amazing amount of work and passion that can go into a project because they devote their time and energy to the similar things. About a month ago, fellow blogger Joyce Lameire nominated me for a Versatile Blogger Award. I am incredibly honored that she thought of me. Joyce has both ulcerative colitis and ankylosing spondylitis (AS). Joyce’s blog, ankysponwhat.com features posts about treatments, managing pain and AS news. 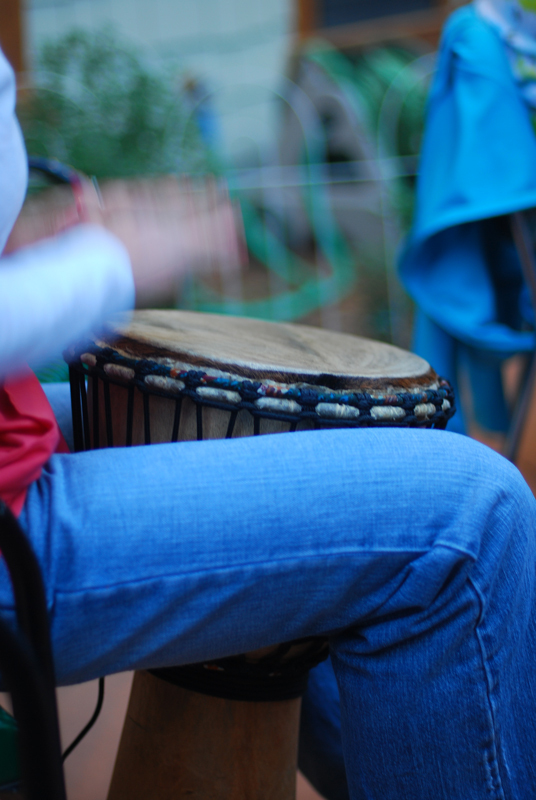 Lately Joyce has been writing a series of posts that delve into her history with the disease. For those who don’t know, ankylosing spondylitis is often associated with UC. Though I don’t have AS, I have been learning a lot about the disease through her site and would highly recommend checking it out. Display the award certificate on your website. Announce your win with a post and link to whoever presented you with the award. Drop them a comment to tip them off after you have linked them in the post. It should be no surprise that most of the blogs I follow are IBD-related. There are so many blogs that I absolutely love but I won’t be able to include them all (the list would go on for pages). Here are are 15 of my favorites and the reasons I find them so special. Full Frontal Ostomy Charis, long before we both had blogs, was the very first person that I reached out to online when I was facing ostomy surgery. She is a positive role model and I love her blog and all she does to spread ostomy and IBD awareness. Blood Poop and Tears This is one of the very first blogs I read when I had IBD and then surgery. I love Jackie’s honest account of her life with IBD. Girls with Guts This website and blog is put together by Charis and Jackie (who author the two blogs above). One of the site’s many features are stories of women who have strongly faced the challenges of IBD. Girls with Guts is a huge source of inspiration for me. Inflamed and Untamed Sarah so often puts the exact things I am feeling into words. She does an amazing job of describing the emotional aspects of having IBD and many times I am brought to tears by her writing because I can relate to it so well. Rollin with Outta Colon Cary is an avid cyclist with an ostomy and his blog posts are an artful blend of thoughts on biking, music, photography and the realities of living with an ostomy and the pain of chronic illness. Cary’s posts are full of depth and insight and really get me thinking. Living Bigger with a Colostomy Paul is a fellow outdoor adventurer and I’m inspired by reading about all the things he does with his ostomy. His life is proof that an ostomy does not have to stop a person from doing the things they love. Run Stronger Everyday Even though my running plans have been sidelined due to hip woes, I love reading Abby’s blog. She has been through ostomy surgery and now has a J-pouch. I am not sure when I will be able to return to running (definitely not before my Rainier climb since I can’t risk getting injured), but her blog helps keep me motivated for the day I once again lace up my shoes for a jog. 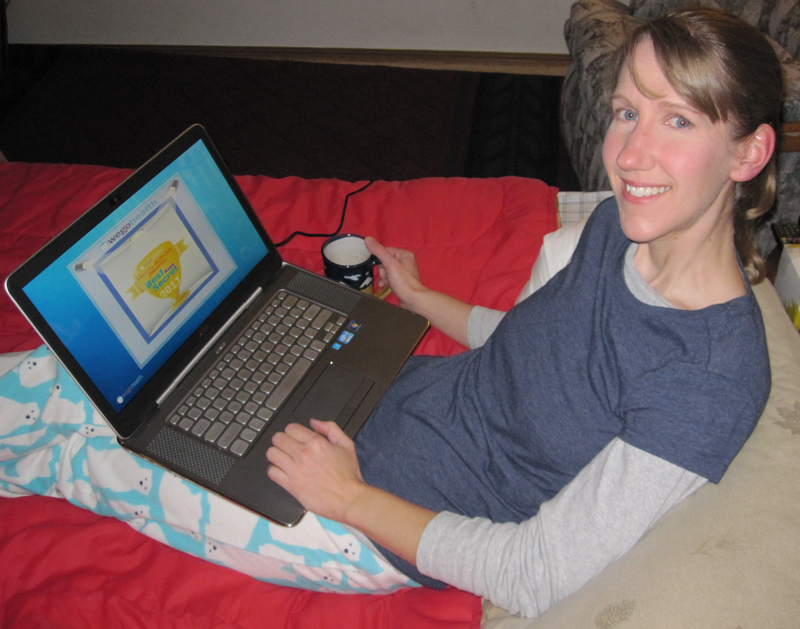 Living Life and Lovin’ It Megan is a newcomer to the ostomy blogging community. I love how she writes about her ostomy experiences in some posts and then things as diverse as chickens and pitcher plants in others. Life is a beautiful mix of so many things and her blog celebrates that. Amazing Adventures- Ostomy Included I only recently discovered this ostomy-and IBD-related blog and am already hooked. Just reading the author’s story reminded me so much of my own—right down to the post-surgery incision complications that I frustratingly faced after surgery. I love this blogger’s adventurous spirit and thoughtful writing and can’t wait for future posts. Gutless Cyclist The author of this blog has also had some health setbacks recently. Despite this, he stays positive and works hard to get back on his bike. Reading his posts fills me with inspiration. Theflowrylife This blog was only started in November 2012, but is already one of my favorites. I love the author’s focus on mindfulness and enjoying the present moment. Love for Mutant Guts It has been great to see Alyssa’s confidence as an IBD health activist grow through her blog. She always has a kind and encouraging word to say too. A Guy with Crohn’s Jeffrey does a great job of spreading IBD awareness. I enjoy reading his posts on a wide variety of topics including gluten-free cooking. To top it off, Jeffrey recently took part in the WEGO Health Health Activist Writer’s Month Challenge and managed to write a post a day for 30 days. I sometimes have trouble writing a post every couple of weeks, so that is a major accomplishment! Intense intestines When I first stumbled upon Brian’s blog I couldn’t believe it. Here was another outdoor-loving person who had gone through ostomy surgery one day after I had. The organization Brian started, The Intense Intestines Foundation, has grown to become one of the most incredible resources for those with IBD. Squirt’s blog Donna is a fellow nature-loving ostomate with an adventurous spirit and that shines through in her blog. She does so much to spread ostomy awareness. I am pretty sure if Donna lived closer, we would be meeting up to explore forests, streams and fields on a regular basis. I have way too many hobbies. As if the plethora of outdoor sports I enjoy aren’t enough, I love drawing, painting, printmaking, journaling, sewing, tying fishing flies, storytelling, writing, drumming and playing the guitar. Whew! The upside–I can’t remember a time that I was ever really bored. I can do an awesome squirrel voice. This comes in handy for the above-mentioned storytelling hobby and the many puppet shows I conduct for kids as a park naturalist. Weather fascinates me. Ever since I spotted a twister that came within ½ mile of my house as a child, I have been interested in weather. I have the National Weather Service radar bookmarked on my computer and could watch clouds all day. I was bummed that all my hospital room windows faced east when I was stuck there during my UC and surgery recovery. It drove me crazy to not be able to see the weather coming in from the west. Social media wears me out. Though I enjoy public speaking and teaching, I am a total introvert at heart. I am the person at parties who you see having an in-depth conversation with someone in the corner instead of mingling. In the same way, I love interacting with people one and one through blog comments and emails. However, I definitely fall short in the realm of social media. The pace of Facebook and Twitter is crazy and by the time I process all the information and think of what I want to say, posts are already dead and buried. And I find writing within the 140 character limit of Twitter nearly impossible! I drive a pink scooter. In an effort to keep my carbon footprint as small as possible, I make my 28-mile round-trip commute on my scooter when the weather cooperates (my bike gets 90-95 mpg). 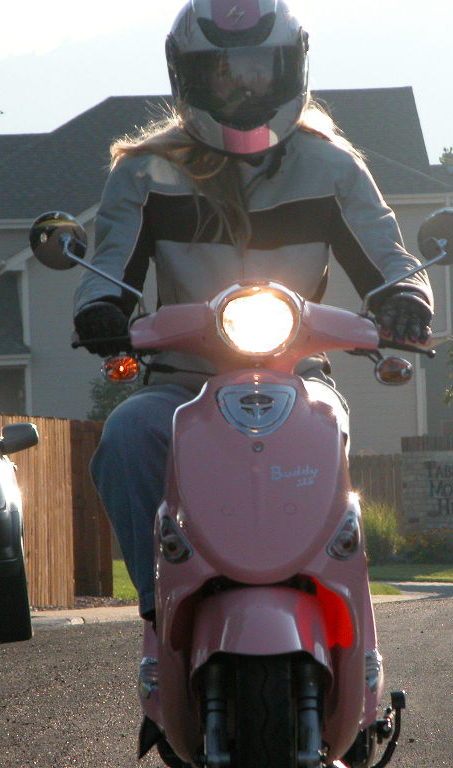 With my pink helmet and blond ponytail, I must look like Barbie going down the street because I often get waved to by little girls. Heading to work on my scooter. I love gummy candy. I try to eat healthy, but I have weakness for gummy bears, octopi, worms or whatever crazy-shaped creations I can find in the candy aisle. I was a really creative kid. When I was a child, my parents set up art studios in the basement for my brothers and I, and stocked them with markers, paints, papers and all sorts of materials. I would spend hours down there drawing and creating art projects. I also used to develop my very own book order forms for my parents to fill out. Once they marked which titles they wanted, I would make little books and write a tale within the pages so that I could fill their order. My brothers and I also used to type up scripts and song sheets for shows and then perform them for our family. 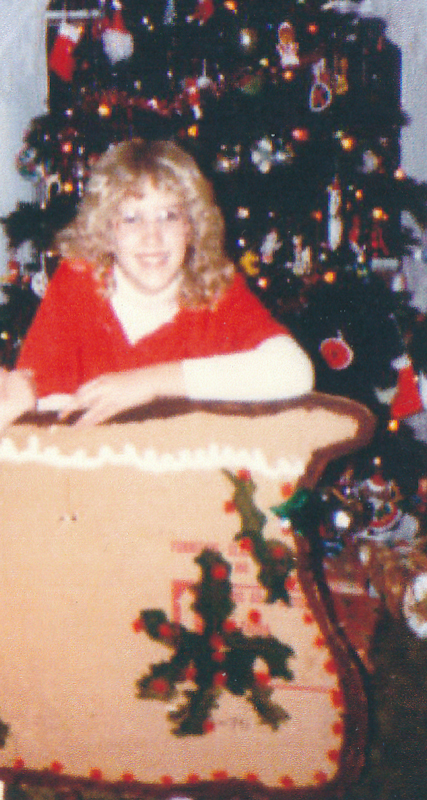 Sitting in the homemade cardboard sleigh during act one of a Christmas production. 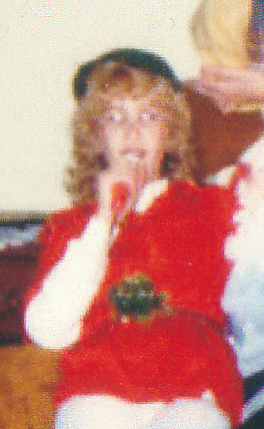 Act two involved singing in an elf costume (with a cool microphone)! Now if only I could have actually carried a tune. Happy World Ostomy Day, everyone! Today I will be celebrating by heading to work and having a wonderfully ordinary day. 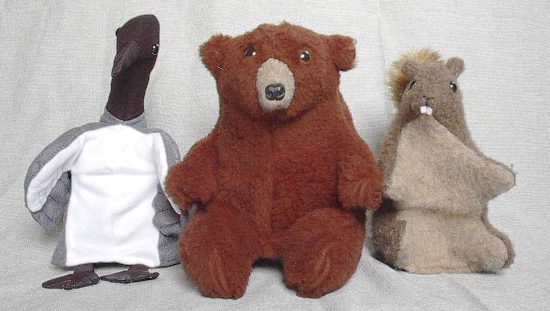 After all, when I was recovering from surgery, I couldn’t wait to return to my job as a park naturalist. Right after my operation, life revolved around getting used to living with my new stoma. Being back at work allowed me to focus on something else and helped me see that life would indeed feel normal again. Returning to my job also made me incredibly thankful for my surgery. I remember quietly breaking into tears in my office after leading my first few hikes because I was so happy and grateful to be doing what I loved again. As the list of things that my ostomy allows me to do again grows, so does my passion for showing what is possible after surgery. I am always excited to help spread the word about this life-saving surgery — not just on this special day, but every day. So join me in celebrating World Ostomy Day. If you or one you love has an ostomy, help spread the word by sharing your story with someone today. Together we can educate others and end the stigmas! 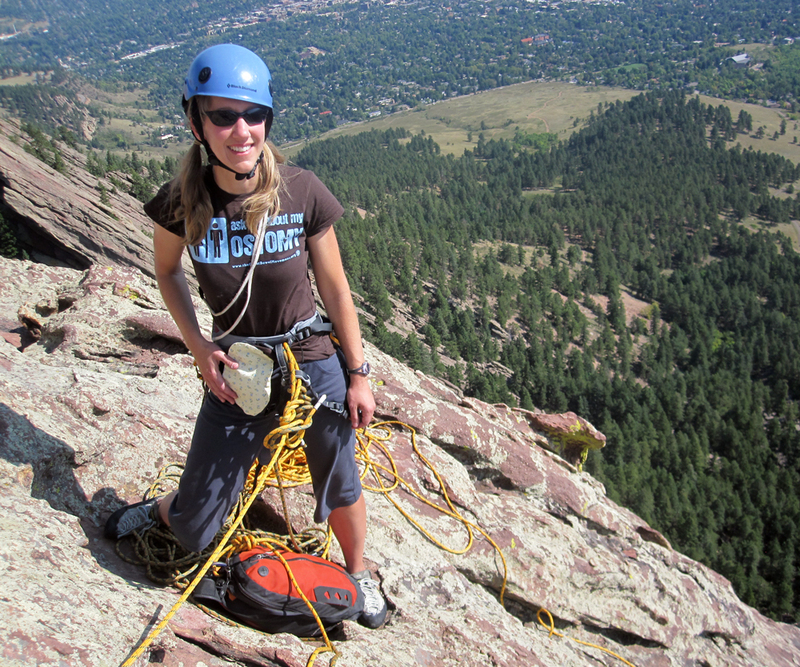 Spreading ostomy awareness while climbing the Third Flatiron in Boulder, CO in August 2012. My abdominal muscles are the sorest they have been since surgery. No, it isn’t because I started doing crunches, ascended the overhanging roof at the climbing gym or tried some difficult new yoga pose. It is due to having one of the most horrendous respiratory viruses I have had in years. I was hoping my flu shot would have prevented this, but alas, I caught something anyway. Each night for almost a week, I have been up all night coughing violently, and it has made my core very sore– especially around my stoma. Ever paranoid about getting a parastomal hernia, I cringe every time I feel that tickle in my throat. There seems to be no way to stop the cough though, and I know this just has to run its course. In the meantime I have been taking loads of vitamin C, doing sinus rinses, drinking various teas to ease my throat, taking cough medicine and cough drops and trying to get a good night’s sleep which has been almost impossible. Mother nature did provide some relief today in the form of a huge snowstorm. A snow day was called at my work, so I was able to have some extra time to rest at home. Due to the worries of coughing pressure and my stoma, I have even been wearing my hernia prevention belt 24/7 for the past week. That, along with bracing my stoma area with my hand when I cough, gives my abs a bit of support while I cough. I eagerly removed my appliance on my change day this morning so I could check to see if I had done any damage with all the hacking. I was relieved to find that everything looked fine around my stoma, though the area around it is still sore to the touch. I am hoping it is just strained muscles and will clear up once I get better. It would be unfortunate to be so careful climbing and backpacking, only to get a hernia from something as simple as coughing. Though it hasn’t been the best week due to illness, there was one absolutely amazing highlight. On Tuesday afternoon, I left work early because I felt so awful. I was about ready to plop down in my bed when I decided to check my Facebook. 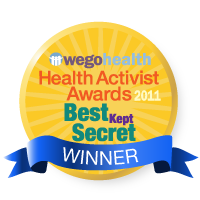 There I saw a message from my friend congratulating me on winning the WEGO Health Health Activist Best Kept Secret Award for Ostomy Outdoors. I had been feeling so crummy I had forgotten that it was the day to announce the award recipients. I was absolutely shocked to find out I was selected, and the excitement is still sinking in a few days later! Thank you to my husband, Doug, for posting the update when I was feeling a bit too sick and exhausted to write on my blog. Thank you to everyone at WEGO Health and those who were involved in the nomination and judging process. I am so grateful and humbled to have been selected for the award among so many other dedicated and deserving health activists. Thanks also to everyone who reads and contributes to Ostomy Outdoors. Your thoughts, comments and stories not only help keep me motivated, but provide inspiration and encouragement to others who follow the blog. Together we can all make a difference and help spread awareness for ostomies. Watching my award video while resting up. Nice job on your award today, Heidi! You’re the “Best Kept Secret” on WegoHealth.tv! WEGO Health is about putting Health Activists’ missions into motion and bringing their passions to life.